Miners, construction workers, and steel mill workers work hard in dangerous jobs. Some of the hazards they face are obvious. Others aren't, and small asbestos fibers that can float in the air and get stuck on clothing are one of these hidden dangers. Asbestos is a term for a group of minerals used in a variety of industries beginning in the 1950s. It was later discovered that long-term exposure to asbestos can cause malignant mesothelioma, a rare and deadly form of cancer. Tragically, a lot of people don't experience symptoms for 20 to 50 years, when the cancer is too advanced for treatment. If you are facing the devastating diagnosis of mesothelioma, you have a lot on your mind. Hiring a lawyer might not be you top priority, but you could have a case and it's important to understand your legal rights. Our law firm has decades of experience helping people get compensation for life-changing injuries and we can get you started right away with a free legal consultation. It's easy to get in touch with us to see if you have a case. You can call 1-866-943-3427 24/7 or submit your information online with the form at the top right of this page. 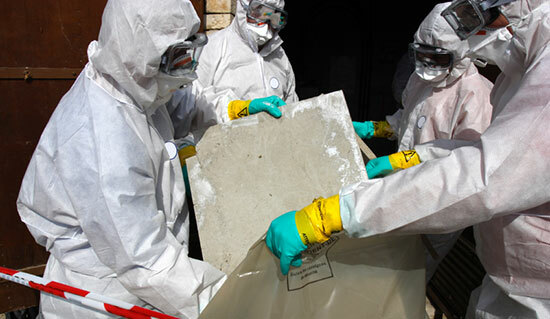 Even if you lived with someone who worked with asbestos or in a house with materials made from asbestos, you may be at risk for developing mesothelioma. Some women have developed mesothelioma just from doing their husband's laundry. Remember, mesothelioma symptoms don't usually appear until decades after long-term asbestos exposure.